Texts : Selen Ansen, Fikret Atay, Celenk Bafra, Ege Berensel, Mélina Bourki, François Cheval, Gül Ilgaz, Servet Kocyigit, Dimitri Konstantinidis, Nazif Topcuoglu. 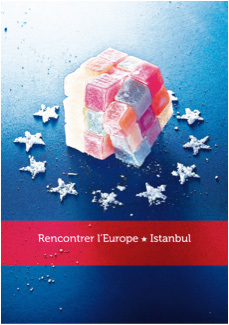 The authors of this publication have been mandated to provide their critical look on the project “Meeting Europe – Istanbul” under St-art’ 09. November 2009, edited by apollonia, european art exchanges.